1484 Fifth Avenue, like its neighbor to the south, was probably originally a commercial building. The faux stone facing and pointed windows on the first floor were presumably added at some point during its current incarnation as the Mt. 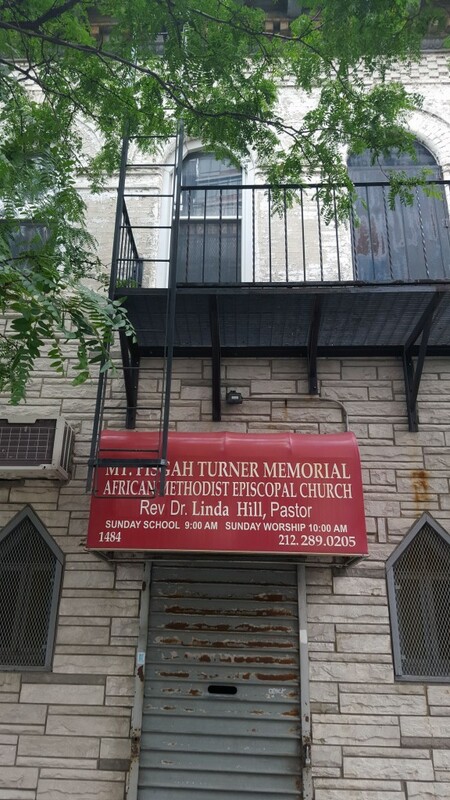 Pisgah Turner African Methodist Episcopal Church.